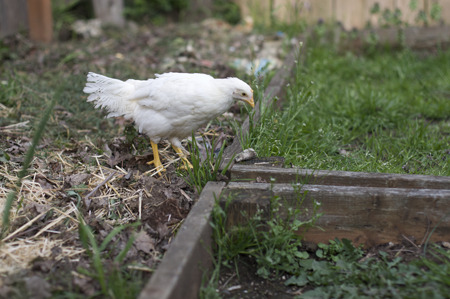 In the coming weeks and months I’ll probably be writing a lot about chickens – why I love them, why they’re awesome additions to any [veg*n] backyard farm, and why I could never imagine eating them, ever again. But before all that, I wanted to take a moment and introduce you all to my two little beauties: Miss Petunia Blue, and Miss Princess SweetPea. 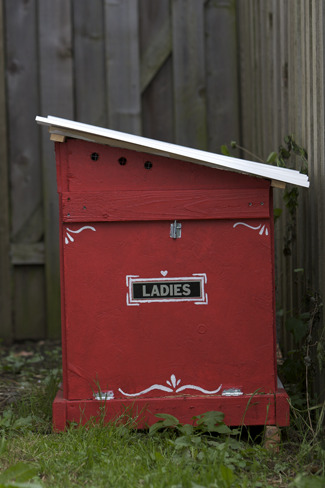 These days the girls rule the backyard, where they reside in their little red henhouse. At night they roost in ‘trees’ made of old lumbar, safe in their enclosed run. By day, they free range the backyard, much to the dismay of neighborhood cats (who are equal their size and can’t do anything but stare) and pesky garden slugs. They fertilize our plants, they mow our lawn, but most of all, they are just plain fabulous friends. Chickens are delightful, independent, unique, and sassy creatures, and I look forward to sharing my adoration and understanding of them, as this project unfolds. I can’t wait to meet the ladies this spring! @Sam – The ladies are most eager to make your acquaintance! Actually the ladies are most eager to eat slugs and stuff. They’re beautiful! I’ve been really excited about chickens for a while. Do they grow and socialize ok without having a mother around to show them how? @ Co – In my experience they’re fine without ‘older chicken’ guidance. 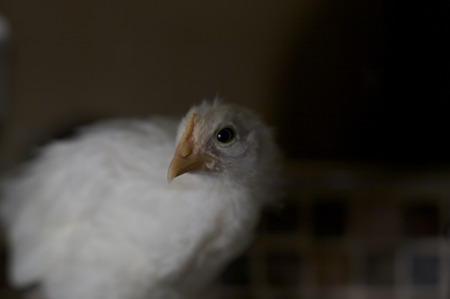 However, I would never keep a single hen – they are social creatures and need at least one friend to ‘flock’ with. Also, I’d look into adoption as a great way to acquire hens. 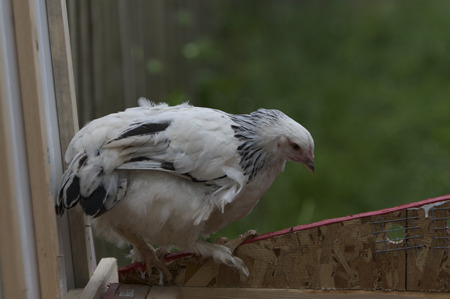 The poultry industry in general is really, really terrible, and buying a chick is playing right into that (I wish I’d known before I bought Petunia). It’s just like buying a puppy from a pet store – bad news! So yeah, in my [never humble] opinion, adoption from a sanctuary, shelter, or Craigslist, is the best way to go about starting a backyard flock. 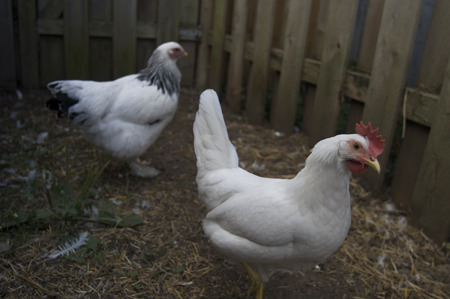 @ Crystal – Yes, Peaceful Prairie is awesome, as are all the farm animal rescues. I’ve been meaning to make a trip to the Oregon one to do some volunteer work. Thanks for the reminder! @ Angela – Welcome! And congrats on the additions to your family. =) Chickens are absolutely amazing creatures, each one so unique and spunky and full of quirks. You’ll have so much fun with them. Your girls are beautiful. Hope to see you around the site! Oh I love chickens! One day I plan to care for rescued hens, some goats, and a couple of llamas! I have to wait until we have property in the country though. I would love to meet your girls sometime. Perhaps you will meet the girls! I know this is super late, but what kind of coop do you have for them for winter? With an ex, I had three backyard chickens for a couple of years. We built our coop from lumber, along with a “run” (because we had trouble with raccoons) but it was a massive amount of work to do, and an even more massive amount of work to dismantle when (yes, unfortunately) we broke up and moved out of the house. I’d love to have chickens again in the future, though, and would love to hear about your chicken housing. Where did you get the idea for your tree roosts? How do you keep them warm in winter? Urban chickens are the best! Oh, and we gave the chickens to another farmer when we moved away, so no worries. The idea for the ‘trees’ just came from reading that wild chickens roost in trees and that’s what makes them feel safest. We had hacked apart a giant bush in out front yard so we just used the trunk of that to build a series of roosts at the far end of the chicken run. They love it! The Winter Box is a small box, maybe 2 ft by 2 ft, on stilts. It has a hinged roof for our access, which is sloped for rain run-off. It has a hinged door for chicken access with a small ‘front porch’. Inside the box is a raised area for feed and their water. And lots of hay! I’ll post pictures and a write-up this spring. It’s on the list! Love your blog! Came upon it by way of your unclog-the-sink post. I’ve had the joy of working with a variety of birds, both wild and domestic (rescue and rehab). And even though we don’t yet have space for chickens, I couldn’t agree more about the disposition of these wonderful feathered characters. So glad these two have an incredible family. Hi Sayward, I’m new to your site, and am really enjoying it! 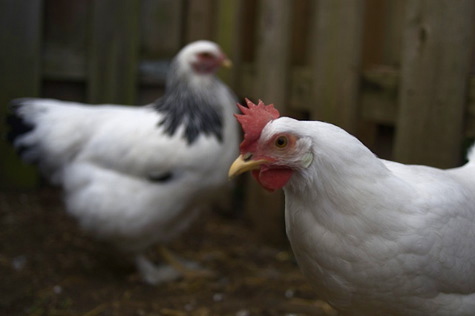 The hens we had when I was a kid ate the vegetarian scraps from our kitchen. They also ate growing greens. Dad had planted a Comfrey plant for them just outside their big cage area. This allowed them to peck all the tips off as the plant continually grew, but since it was outside did not allow them to gobble the plant until it was destroyed (which I understand they would have). Don’t the ladies eat your garden? how wonderful it must be to let them roam! I have family who farm chickens and I have always wanted to go abduct one from the houses and give it a reprieve. One day, I will, her name shall be Sayward! @ Jshan – Yes! The ladies absolutely destroyed my fall garden last year. We actually had to build a fence, so our yard is now sequestered into ‘animal area’ and ‘garden area’. I don’t think chickens and garden could coexist in the same space. We have chickens too and love them to pieces (5 hens and an “accidental” rooster). I have to ask, what do you do with all the eggs? Sayward, have you posted yet about all the costs and labor involved in starting your flock of hens? I’ve heard people say things like ‘by the time you get everything bought and setup, the cost of your first egg is about $300 US’. So,QUESTION: Will you tell us about all the planning gathering and labor you did to get setup, and what your total costs were? @ Jshan – I haven’t written about the actual cost break down, but I did do this little feature about their set-up. I’ll have to think about an article like that. The thing is, I don’t advocate people buying hens as a means of getting eggs (like I wouldn’t encourage someone to buy a dog just to act as a guard dog). I’d love to see people adopting rescue hens and giving them homes for the same reasons that people adopt dogs and cats – because they are awesome animals and they deserve to live happy, healthy lives! It may seem like a minor distinction, but to me the framing is very important. Thinking in terms of ‘cost for eggs’ is just not the perspective that I come from. Does that make sense? 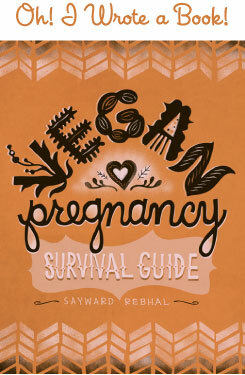 Sayward, yes of course it makes sense, esp. coming from you, that cost is an objective of yours which falls below your ecology-oriented and compassion-based intentions . My reason for asking about costs is this: for those who want to invite hens into their lives (me included) it’s helpful to have some idea of what-all might be required. Costs are one of those basic matters that can make it a go-go or a no-go. If I knew I could afford it – I would be one step closer! Glad you’ll think about it! You chickens are so cute! I can’t wait to move somewhere where I have my own backyard so I can raise some of my own. I’m dying to read more about them! My family isn’t vegan (I was for a year but I’m back to omni now) but we have 11 hens. 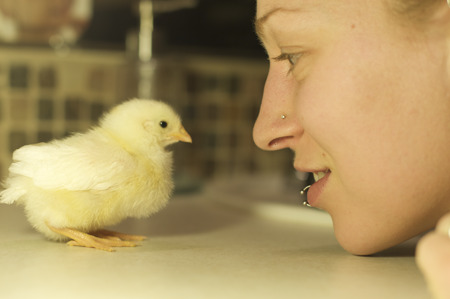 The amount of money we put into them is way more than what eggs from the market would cost and it’s worth every penny. They are so much more than egg producers to us, we raised them from tiny chicks to the 3 yr old hens they are now (except two older hens we adopted) and we love them all dearly. Last month we even had Joyce, one of our two Leghorns, living in a box in the extra bathroom as we nursed her back from near death from a mystery illness. She is healthy and happy in the backyard again! I never knew chickens could have such charming and unique personalities but all our girls are awesome, even the cranky ones, hahaha.